A classic sentence found on technology websites and business newspapers around the world: Microsoft is announcing something on Monday. What the company will announce isn’t known, but TechCrunch, Business Insider, and other sources are saying that signs are pointing to Microsoft releasing its own tablet. Not a Windows 8 tablet produced by Dell, Lenovo, or one of its other numerous partners, but a Windows 8 Tablet made by Microsoft itself. The tablet would be the latest member in an exclusive club of Microsoft-manufactured devices. These have ranged from complete failures, as with the Zune, to wildly successful, as with the Xbox 360. The gaming device is a more significant benchmark for Microsoft’s potential in the table market than the Zune. Zune may have failed to displace the iPod, but Microsoft was not a desirable consumer brand when the Zune came out in 2006, not like it is today. The Kinect and the Xbox 360 have changed Microsoft from a brand associated with utility—thanks to the ubiquity of Windows and Office in businesses and schools—to one with entertainment. A Windows tablet, or more importantly an Xbox tablet, has the power to seize a new segment of the market if not defeat the iPad. A Microsoft tablet could dramatically change Microsoft’s Xbox business though. Whether it’s produced in a partnership with Barnes & Noble or something else entirely, the tablet will change Microsoft gaming. Those longing for the days when Microsoft would publish Fable, Gears of War, Halo, and Crackdown all within 12 months of each other, know that those days are over. Core gaming, the multi-hour, big-budget blockbusters, will stay part of Microsoft’s business, but it will only be a niche in the much bigger tapestry. The button-less nature of a tablet will see the Xbox Live Arcade and Xbox Live service itself cater more and more toward the simpler experiences already encouraged by Kinect. The Xbox business is changing already. Microsoft is offering the Xbox 360 not as a machine you buy but one you lease with a subscription to digital services. Word is it will release a disc drive-less console that only streams content, called Xbox Lite, in the near future. A tablet would further entrench Microsoft’s digital content strategies, both with the Xbox brand and services as well as the entertainment services associated with it, like the numerous Xbox television channels. Microsoft’s E3 2012 announcement of Xbox Smart Glass was confusing. How will the company convince content partners to actually make second screen content for tablets? Why would EA bother to make a Madden add on when there’s no guaranteed revenue? 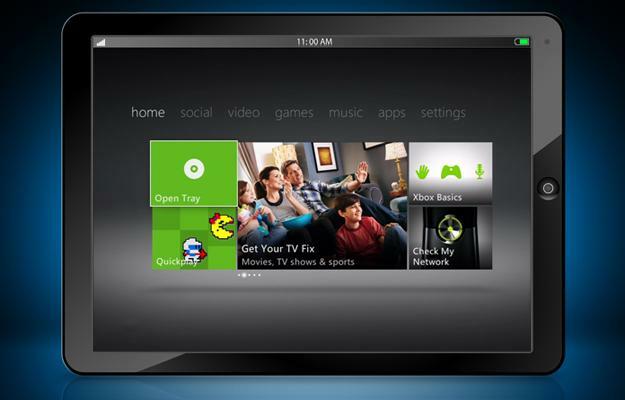 A Microsoft tablet could work symbiotically with Smart Glass though. If the tablet is successful, it could introduce unsuspecting customers to the Smart Glass services. If Smart Glass is successful first, Microsoft can sell its tablets with improved Smart Glass performance.